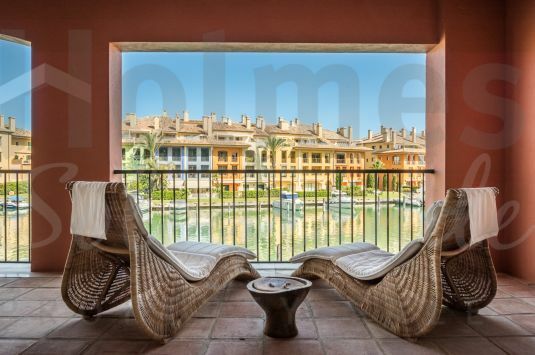 Super duplex apartment with great views of the inner marina close to El Octógono Beach and Tennis clubs. Super duplex apartment in Jardines de Sotogrande near to the shops and restaurants. Sold furnished.